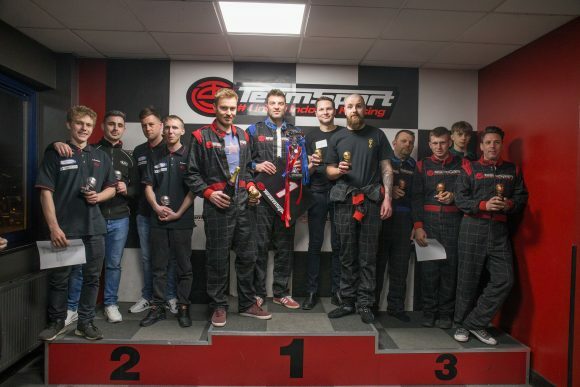 Your Best Car takes top honours at Karting Challenge finale! YOUR BEST CAR took victory at the final of the Car Dealer Go-Karting Challenge held in association with Close Brothers Motor Finance. The team made it to the final after winning the Basildon qualifier in January, and proved to be more than a match for the nation’s finest dealership kart squadrons, completing 78 laps of the 900m ‘International’ layout at TeamSport Reading in the time allowed. For the majority of the race, the strongest challenge to Your Best Car, which has dealerships in Buckinghamshire and Kent, came from Bel Royal Kia, who had again travelled from Jersey to take part in the action. This time, the team had taken an earlier flight, with driver Max Brochet admitting to getting ‘a little practice’ in during the morning before the race. The Bel Royal outfit – which gained entry to the final via the Eastleigh qualifier – showed good pace at times. However, when the race was over, they were classified a lap behind the dominant Your Best Car team, who were helped in particular by a strong stint from director Garrett Green. The Biker Boys rounded out the podium a further lap down on Bel Royal, after challenging for the lead early on. Meanwhile, Billau Motorcycles, who had also been in contention in the early stages, ultimately found themselves finishing sixth, behind Splends and the Essex Rangers. Aptly, the two host teams – the ‘Not Close Enough’ entry from Close Brothers Motor Finance and the Car Dealer Magazine squad – finished 10th and 11th (last) respectively. A big thank you to every competitor in the Car Dealer Go-Karting Challenge held in association with Close Brothers Motor Finance – we hope to don helmets and go racing again in the near future. 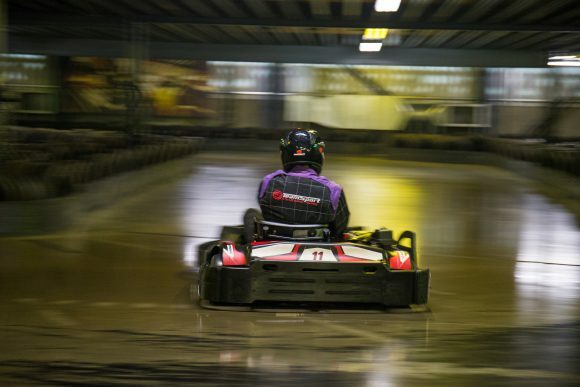 MORE: Car Dealer Go-Karting Challenge: Who took the spoils at our final regional qualifier? MORE: Download the marvellous March edition of Car Dealer Magazine – it’s only £1.99!